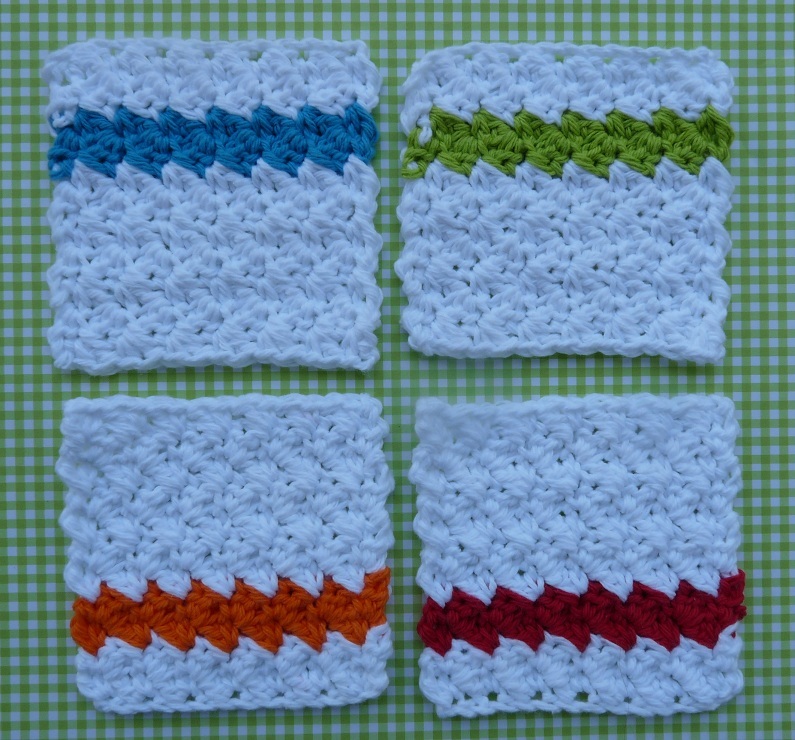 The other day I was working up a batch of my Simple Stripes Dishcloths and it occurred to me that a smaller version of these might make a nice coaster. They are thick and absorbent, which makes them great for all those cold summer drinks. 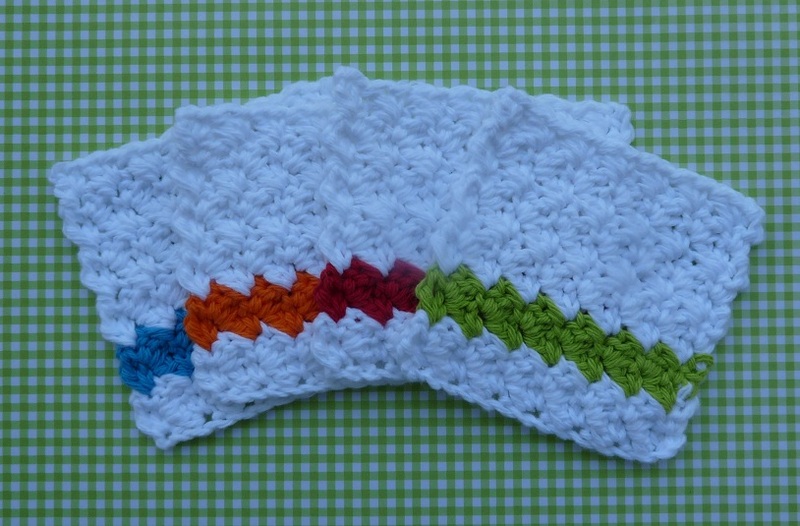 This is a very quick and easy project and a great way to use up all those leftover scraps. 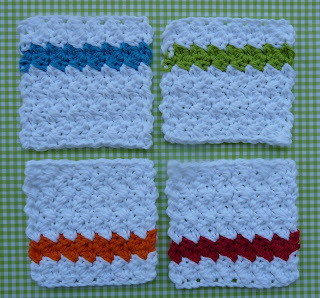 Each coaster takes 15 yards of white and 4 yards for the stripe color. Finished size is 4 1/4" x 4 1/4"
Thank you so much for the free pattern.. love them!! 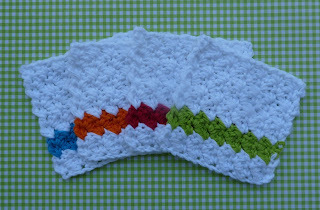 I am going to share this pattern and a few more for a swap on Swapbot.com. So you may be getting several hits and saves and more comments. And more costumers on etsy. We have etsy favorite links on swapbot. Die sehen klasse aus. Vielen Dank fürs Teilen!